Six years ago, American Boxer, Jack The Ripper Stemmons had his undefeated boxing career destroyed by a bookie, who fixed the fight of Jack's life. In a rage, Jack brutally attacks the bookie and must disappear leaving everything he knows behind. 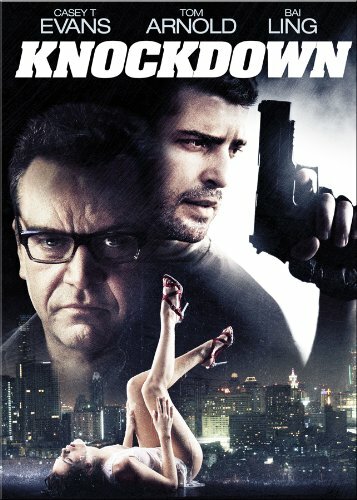 Now, exiled half way around the world in Bangkok, Jack falls victim to the exotic and addictive spell of a prostitute, only to learn she has been set in his path by a scheming gangster eager for Jack to jump back into the ring-- this time in Bangkok underground fight clubs. SYNOPSIS: Knockdown tells the undefeated boxing career of Jack "The Ripper" Stemmons (Evans) until it was destroyed by a bookie (Arnold), who fixed the fight of Jack's life. In a rage, Jack brutally attacks the bookie and finds himself escaping from everything from everything he has ever known. Exiled half way around the world in Bangkok, Jack falls victim to the exotic and addictive spell of a prostitute (Ling). But he soon learns that a scheming gangster sent the prostitute to trap him to get him back on the ring, but this time, in Bangkok's notorious underground fight clubs. No matter how hard Jack tries to distance himself from his violent history, it is only a matter of time before Jack's past, present and future collide in a twisted climax.